John Bohan, an equity stakeholder in Apex Funds Services since the company’s early days, describes Apex’s story from its 2003 origins to 2014, as it opens its 34th office in Jersey last month. 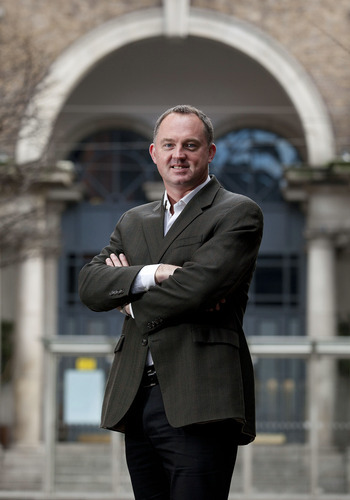 Bohan, a nominee for the EY Entrepreneur of the Year award, oversees Apex’s European and Middle East business from Ireland. His job involves developing new business with the MDs of APEX’s offices in EMEA. 6.45 a.m. I normally rise at this time but there isn’t really a normal day or time. The timeframes and this day constitute a mix of what my normal days involve. In 2013 I spent 156 days international with the rest split between Dublin and Cork. The Gulf region is an important part of our business. When Apex was started by Peter Hughes in 2003 there was a business plan written that focused on the emerging jurisdictions and Dubai was one of the first for us. In fact we were the first fund administration company to be authorised by the DFSA in July 2006 and that is a good achievement for us. We have won Best Fund Administrator 3 out of 4 years there which has cemented our reputation in the region. We built on the initial presence by opening in Abu Dhabi, Bahrain and building strong allegiances in Saudi. It’s a credit to the teams in that region as well as providing Sharia’h compliant reporting and reporting for managers and investors in Arabic. We are committed to local presences and relationships and that is important here. We have taken on some new business development staff for the region and I will be doing 3 days of meetings with them. We have a very specific model and offering that focuses on service on your doorstep with the technology to allow our clients front to back office services and in this region that matters a lot. 7.30 a.m. I leave my house in Sandymount to make my way to work to get to work for before 8am. I also get to the gym two mornings a week if I am in Dublin. I swim a lot, it helps keep stresses at bay and allow flexible thinking when it’s particularly busy. My role has changed significantly over the years. I took equity in Apex at the beginning more or less and evolved into the COO from 2007 to 2013. I stepped down to allow Gordon Shaw to take over in this role and he is doing an excellent job of it. As we grew Apex it was a case of running and overseeing Ireland office’s core operations as well as COO and looking after our asset management arm where needed. It was a challenging role and I enjoyed it but I decided that I needed to focus on one or the other. So I decided that a lot of the operational platform had been laid and that a new head would add value to that and Gordon brought a wealth of experience to do just that. I never let mail traffic build up on my phone from an evening before so at my desk the first hour is dealing with the overnight queries and flow from AUSTRAL-ASIA. We have 34 offices open now across the group after 10 years in business. It’s the reason for the travel and the large dispersion of clients. We officially launch our 34th office in Jersey next week (January 27th) and I will be there to ensure our new MD Andrew Mason gets the support he needs and that we meet with some new and some well established relationships whilst there. I need to prepare my speech. 9.00 a.m. Our offices have regional MDs so I take care of 11 of our offices across Europe and the Middle East. Proportionately it represents the largest collective revenue flow for the group and my new role is to ensure that it continues to provide the best administration services it can provide and continues on a steady growth curve from a business development and margin efficiency perspective. There is a lot of focus on FATCA and AIFMD and we are providing full solution offerings for our clients in each of those areas. There is a steering group for AIFMD which I have a meeting for shortly. I enjoy the technical nature of this business and AIFMD provides an interesting opportunity. Anthony O’Driscoll (Malta), Christophe Lentchat (Luxembourg), Gordon Shaw (COO-London), Karen Wallace (Global head of compliance), Peter Hughes (CEO and founder), Paul Spendiff (European head of business development) are all on the call. European managers clearly aren’t ready for this yet but we need to be so we are driving ahead ensuring we have our depositary lite solution, Annex IV reporting valuation solutions in place. 10.15 a.m. I normally take clients’ calls throughout the day. We have a large European pipeline coming which means that at any one point in time we have a lot of on-boarding clients and there are always structuring or product queries that I jump on a call for. I still find it a fascinating business: the variety of strategy selection, domicile and tax, share classes, currency classes, sub-funds and special purpose vehicles to bring it all together. The beauty of the Apex Group is that there is a constant mail traffic between offices referring business to each other. Clients in Singapore launching a Luxembourg fund or Abu Dhabi an Irish fund and so on. A lot of our group roles are UK or Ireland-based so there is a hive of activity and meetings ranging from new systems for our core business (we are rolling out E-Front as our private equity solution) to building new regulatory reporting (Annex IV through Sharepoint or SQL programming). We have built up a young talented and innovative project and IT team who knit together well. Each of our offices are growing strongly and each is classified in our financial reporting according to maturity level and revenue strength, with Ireland being Tier 1 and Jersey being Tier 2 for example. Our CRM has helped control and oversee how we grow our global relationships - we are strong because all offices stand together and work together for a common goal so staff in one office though smaller and earlier stage can leverage off of 10 years of relationships built. 12.15 p.m. Our Dublin offices are based in Harcourt Street and our Cork offices in Midleton. Irrespective of which one I am in I try and get a good walk in to get my lunch and am not a huge fan anymore of sitting at your desk throughout. That’s what comes with the 40s as you up a few notches on the health consciousness scales. We have traditionally always had a great interest in sport or participation in spor - that is encouraged. Marathon runners, tri-athletes, swimmers, soccer players and GAA all abound in Apex. In September 2013 we celebrated 10 years of Apex by cycling from Midleton in Cork to Dublin office and raised €7,000 for AWARE in the process. The country has suffered a lot of hardship putting so much pressure on young and old and it is no wonder there has been large increases in depression. The cycle helped gel the teams in both offices together and certainly gave me a different perspective on my normal weekly drive. 1.15 p.m. It’s a nice time to be in the office as it is quiet so I work on our budgets versus actual for the YTD. There are high expectations for the group and the same exercise of budgets vs actual and looking into the business pipeline crystal ball needs to be done so I can get a sense, office by office, where we will end up. 3.00 p.m. Calls with each of the MDs across Europe take up the most of the afternoon. Each market is different with each offering slightly differently angled in our marketing. We integrate into industry bodies, directorship boards, social media, conferences, speaking panel events, luncheons and dinners for our clients. It’s operational element is almost mathematical in nature so as an accountant by trade it’s logical to me. Bringing in new business and growing revenues is more of an art and is a challenge. Delayed launches, seed capital, regulatory approvals, account set-ups are always elements harder to control. Each MD explains the good the bad and the ugly of their last month’s performance and we allocate resources or new business where we need to. Each MD has a different strength. Some are inclined towards building operations from the inside out with strong teams but weak pipelines for new business whereas the MDs with natural business development skills find it easier. It’s getting the balance right and keeping a team motivated all the while that makes it challenging. 6.30 p.m. I begin to pack up my desk and close off e-mails. There will be a further clearing out of mails before bedtime. If I am in Cork with my three boys I am normally running to one of their hurling, athletics or tennis sessions before putting them to bed starting at 7.45 and finishing at 9. I have time to catch up on household work, my girlfriend Valerie and I discuss the day and week ahead. A quick read of the paper or a book and I’m ready for bed by 10.30 most nights. Some nights involve industry events or are spent somewhere in EMEA. A good day is one that we have closed an ongoing project or larger client coming in. It’s a train that trundles on, and I always need to save energy for the long distances and not the sprint.